Spring weather has arrived, and it is the perfect time to update the annuals in your Minnesota garden. These are the plants and flowers that will last for just one growing season and tend to have beautiful blooms and foliage. Due to our cooler plant hardiness zone, Dundee Nursery & Landscaping in Plymouth and Hutchinson, MN, suggests paying close attention to whether the annuals you choose can survive in shaded regions, as most prefer sunny locations. Cleome: This tall, willowy plant has large, spider-like blooms, usually in colorful shades of pink, purple, or white. While this plant performs best in areas where the plant would receive up to six hours of afternoon sun exposure, it can do well in lightly shaded areas. Once these flowers are fully grown, you’ll love how they attract hummingbirds and butterflies to your garden. 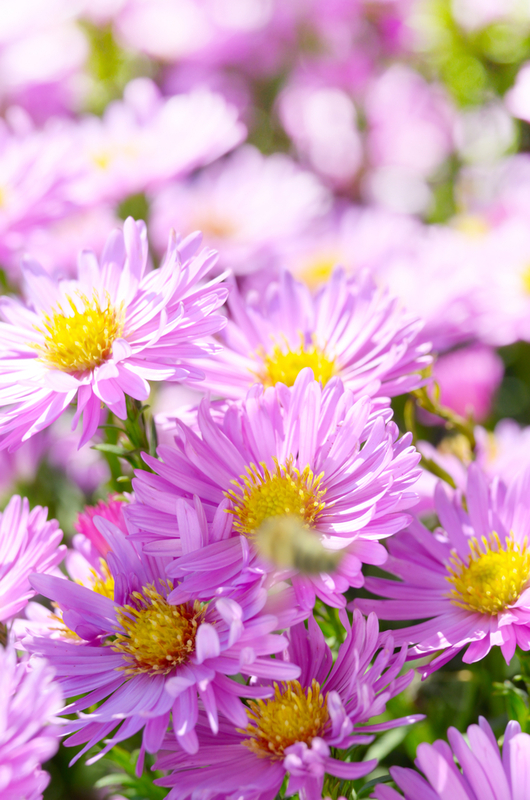 Asters: These daisy-like flowers come in various blues and pinks and actually perform well in cool climates with moist summers. They do, however, prefer to be planted in locations in full view of the sun. Dahlias: These annuals are the miniature two-inch version of the larger tuber-grown perennials. Although they do have a smaller bloom, these plants still grow up to four or five feet in height and come in a beautiful rainbow selection of colors. While they do grow the best in full sun, these flowers actually do better in cooler regions and tend to last well into the first frosts of fall or winter. If you know which annuals you’d like to add to your garden this year, stop by either of the Dundee Nursery & Landscaping locations today. To find out which plants they carry, you can call their Plymouth nursery at (763) 559-4016 or their Hutchinson nursery at (320) 587-4664. You can also visit their website and Facebook page to search for ideas for your garden.